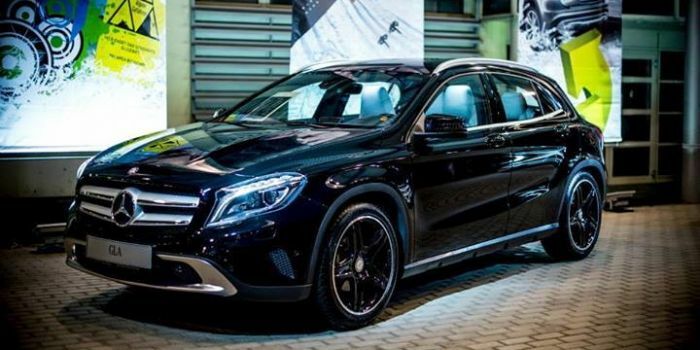 The all-new 2015 Mercedes-Benz GLA-Class and GLA Edition 1 is launching in Europe in March and is available for sale now. Mercedes-Benz just continues to roll out exciting new vehicles and a new premium compact SUV is about to launch. The German automaker is launching the new GLA-Class SUV which is their fourth new premium compact to hit the market. And Mercedes is adding a fifth attractive SUV variant to its model lineup. The GLA-Class will be impressive with its premium amenities and it will attract a new generation of buyers to the brand just like the new CLA-Class is doing. The new GLA will be the first SUV to be optionally available with the new generation of the 4MATIC permanent all-wheel drive system with fully variable torque distribution. Mercedes is innovative and they continue to roll out impressive vehicles. The GLA is progressive with its new design and will provide millennial buyers a vehicle that will fit their needs. They will use it to commute to the city during the week and use it for recreation on the weekends. It reinterprets the premium compact SUV segment. It will first launch in Europe in March and in the U.S. late next year. The all-wheel-drive capability will expand its versatility and make it appealing to new buyers to the brand. Mercedes has a goal to the number one luxury brand in the world and the new GLA-Class will help them get there. The new-generation 4MATIC permanent all-wheel drive system will play a key role in the compact SUV’s success around the globe. Younger buyers are looking for SUVs with versatility that will take them on off-road excursions. Ola Källenius, Member of the Divisional Board, Mercedes-Benz Cars Sales said in the press release, "With its fascinating design and high everyday practicality, the GLA will fill many new customers with enthusiasm for the Mercedes-Benz brand. With the GLA we are expanding the comprehensive SUV range from Mercedes-Benz with further emotionally appealing variants and as such are exploiting the constantly growing compact SUV segment for the brand." Mercedes will begin with the GLA 200 (29,303.75 euros) in Europe and it can be ordered now with the first models arriving in German showrooms in March 2014. The new and exclusive GLA Edition 1 can also be ordered now and features exclusive details inside and out. GLA Edition 1 is available from 34,603.75 euros and will only be available for approximately one year following market launch. The all-new 2015 Mercedes-Benz GLA-Class has already been nominated for World Car of the Year before its even been launched. It looks like the new premium compact SUV is ready to be a resounding success for the German automaker. Click here to see all the choices and options that are available on the new GLA-Class.